Acer has disclosed a few more details about its first wearable: The wristband is called the Liquid Leap, and it will ship as a package deal with the high-end Liquid Jade Android smartphone starting in the third quarter. Liquid Leap is primarily a fitness tracker set on a rubberized band, but will also give you some basic controls and notifications via the Liquid Jade phone. The Liquid Jade smartphone packaged with the Liquid Leap. 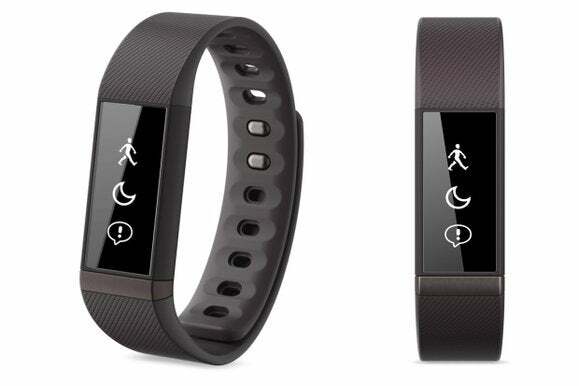 The gadget tracks distance walked and calories burned, and lets users control music on the companion smartphone. 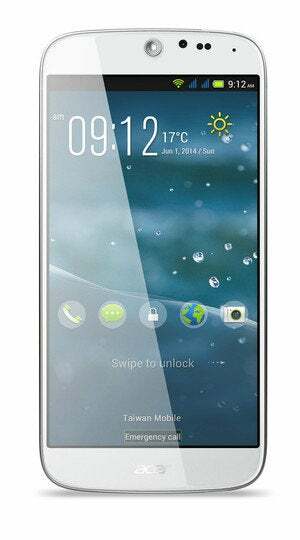 It also carries notifications about incoming calls and text messages on its 1-inch touchscreen. The features are similar to Samsung’s Gear Fit, which is sold as a separate item and can be hooked up to Galaxy smartphones and phablets. The product is being announced a few days ahead of the Computex trade show, which will start in Taiwan next week. A prototype was shown in late April at a press event in New York. Prices for the wearable and smartphone were not immediately available. However, Liquid Leap will initially ship in developing countries and is not expected to become immediately available in the U.S. The new Liquid Jade smartphone has a 5-inch “high-definition” screen and runs Android 4.4, code-named KitKat. It has a 13-megapixel front camera and 2-megapixel rear camera, as well as a quad-core MediaTek processor, up to 8GB of storage, Wi-Fi and Bluetooth 4.0. The struggling Acer is working to expand its device portfolio to catch up with rivals. The company earlier this week launched a set of cloud services under the “Bring Your Own Cloud” initiative, in which devices are able to share and exchange information easily. Acer is hoping the cloud service will prompt more users to buy its wearable, mobile and PC devices.